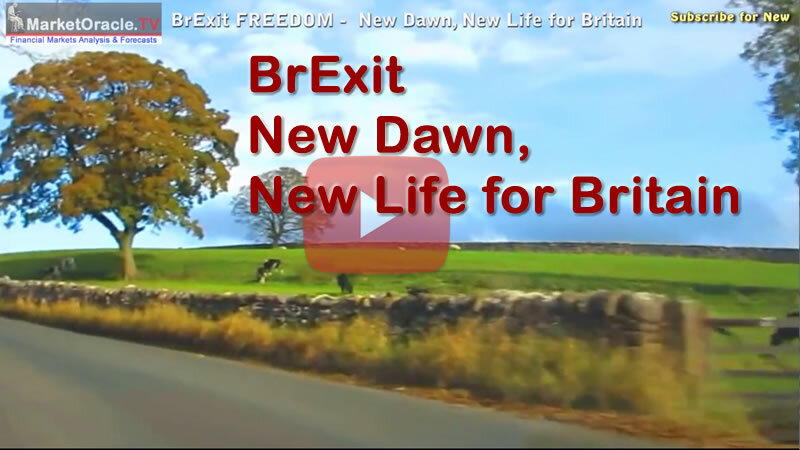 BrExit Morning - New Dawn for Britain, Independence Day! Superb job, well done, congratulations! Now Nadeem deserves a long long sleep then a long holiday. Personally I hope that Brexit will lead Europe do reform itself. Perhaps the only way to reform those folks in Brussels is to end the project EU. I have never been so glad to be wrong!!!!!! Break up media cabal monopolies. Save the NHS the vaccination cabal needs to be broken where there is no scientific evidence that it works, and infact there is evidence even from the government it does not! Secondly cancer cures such as GcMAF must be evaluated, along with stopping feeding patients sugars and just these 2 measures will cut NHS cost in half! Let the politicians and businesses know the people have spoken and take power back - clean out the rubbish because in the long run you will win. Ignore the Brussels bullying that is coming - empty threats - hopefully our fellow humans in the EU will be keeping Brussels busy as they demand their say as UK has. Ignore the retaliation of the Brussels bullies who are deeply wounded that they did not get their way. They will retaliate in any way they can to make UK life as miserable as possible as they lick their wounds and let us hope that they can overcome their pride. Support those businesses that support Britain and build a new future - move your money from banks that threatened you to those that supported you. Don't buy from those that threatened you and let those that supported you thrive. Clean the UK economy and rebuild with those that believe in the people. Your money talks and use it to back up your votes. Nothing to fear as this is within their rule book. Time to change the paradigm. I messaged you yesterday about placing a £30 bet on Brexit based on your analysis. Collected the £195 winnings today from my Betfair account. I put another £40 on at about 4pm Thursday, got 6.2 so not as good as your earlier. Odds shot up to 17 after 10pm ! I was tempted to add but everyone was screaming REMAIN had won ! So a case of battoning down the hatches and waiting it out. Now, negative effects are already afoot. it is about the time to start solving the real issues. I'd go for another parlament election first. Put the exit plan in place. Keep all those politicians feet to the fire. But easier to say than to do. I am horrified about the great division of people of great britain. WHAT HAVE WE ALL DONE!!! It's clear that you just do not get it. Perhaps if you read these following two articles then you might get an idea of why.